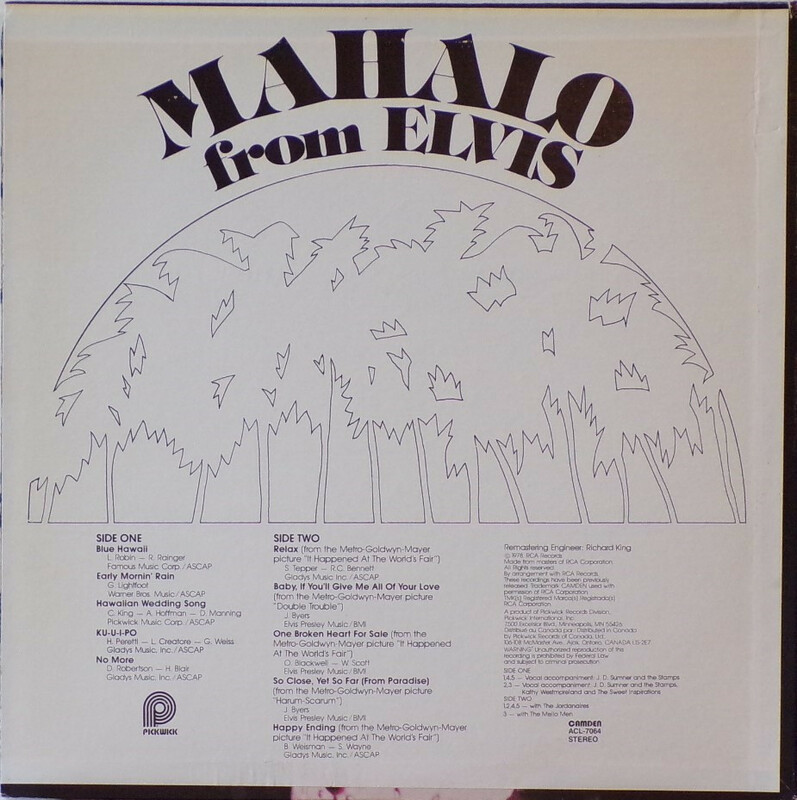 Mahalo From Elvis is a compilation album by Elvis Presley released posthumously in 1978. 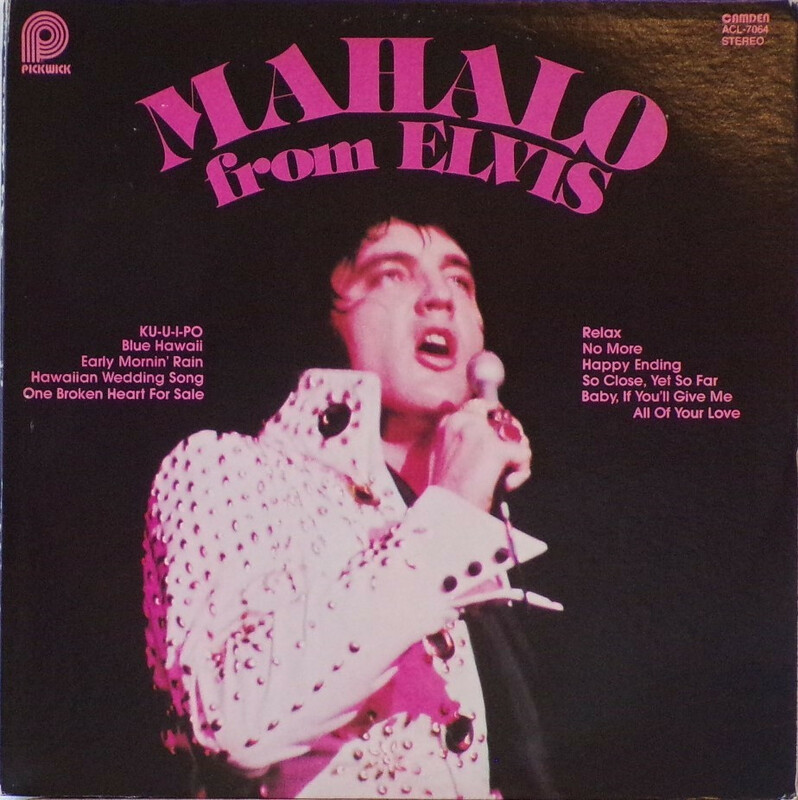 Side one consists of five previously unissued tracks Presley recorded in Honolulu on January 14, 1973 for inclusion in the U.S.-version of the live concert TV special Aloha from Hawaii (these tracks are not considered "live" recordings, however, as no audience was present). The recording of No More, however, was not used in the special. 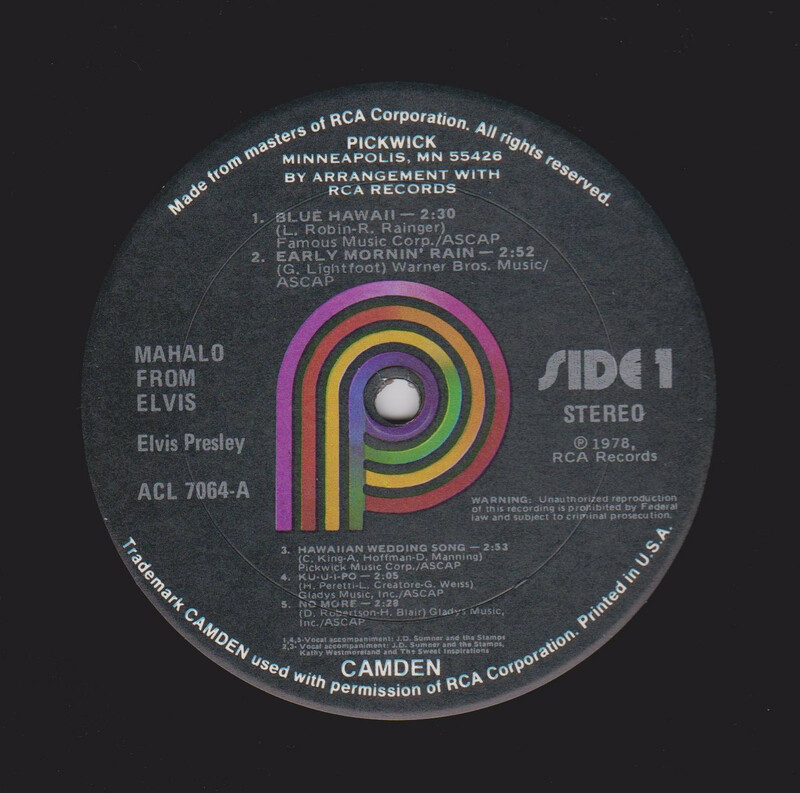 All songs on side two were previously issued recordings originating from various Presley movie soundtracks in the 1960s. It was certified Gold on 9/15/2011 by the RIAA. Front Cover : Photo of Elvis. Title across top. Catalogue number top right. ​​Rear Cover : Title across top. Catalogue number bottom right. Side 1 : Pickwick at top Camden at bottom. 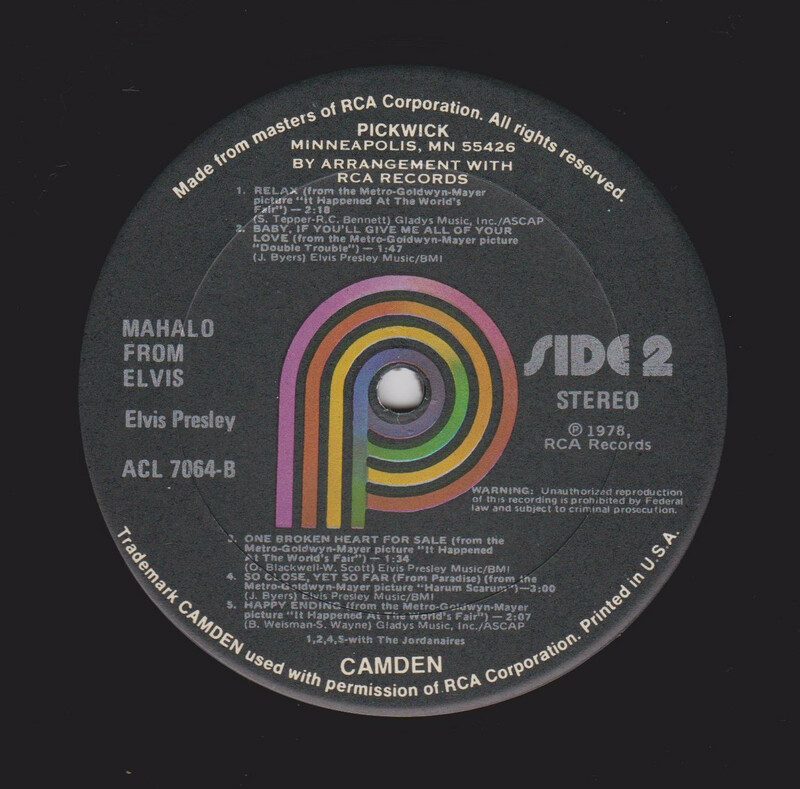 Side 2 : ​Pickwick at top Camden at bottom. ​*NOTE* Budget release on the Pickwick label. Rigid label.